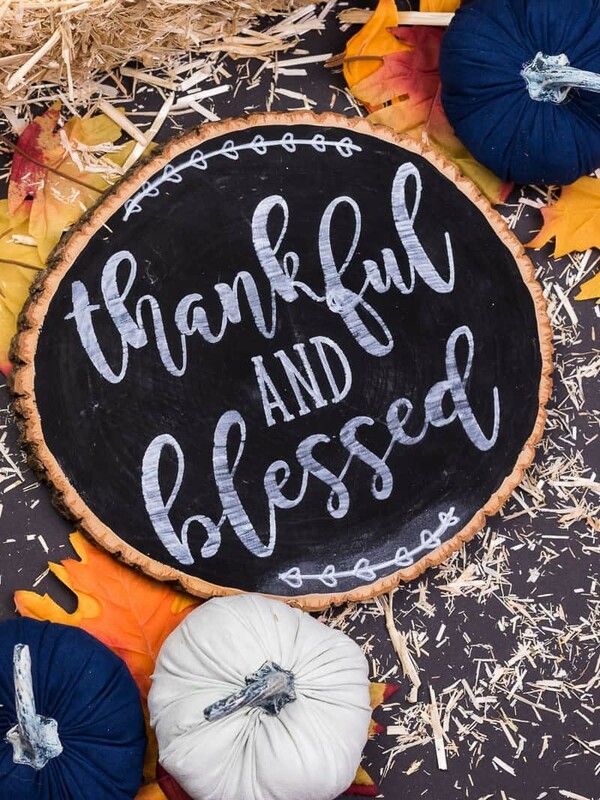 Make this minimalist thankful chalkboard sign for your home using your Silhouette machine and some paint! It’s easy and quick, and perfect to display when you have people over for your Thanksgiving feast! Last week, after a particularly tiring day with my toddler, I slumped down into the couch after putting him to bed and drifted in and out of sleep. Lately he’s been a bit of a handful, we’re full-swing in the attachment to mommy phase and it is exhausting. Some days it takes all that I have to get to nap time, and I’m very guilty of complaining about how hard it is and how much of a toll it takes on me emotionally. But three years ago I would’ve given anything for moments like those when we were having a hard time getting pregnant. After realizing that , I knew that I wanted to make something for our home that will help me remember all the things I’ve been blessed with when I look at it. Which is how I came up with this Thankful Chalkboard sign to decorate our house with. It’s the perfect reminder of how thankful I am for the little boy whom I love fiercely, while also wishing he’d get attached to his Daddy every once in a while. Being a parent is tough, I don’t think anyone could’ve prepared me for all the emotions you go through on a daily basis or what we were in for with our little guy. Our road has been more different than most, with a hydrocephalus diagnosis at our 20 week ultrasound and a lot of uncertanty during a very difficult pregnancy. When he was born things were very up in the air, but he has surprised us every single day since then. There have been very high highs and extremely low lows with him, but overall he is a miracle and we are very blessed to be his parents. On the difficult days though, when therapy seems endless and the doctor’s appointments are numerous, it’s hard to count my blessings. But we are blessed. He is thriving and surprising all of his doctors. Especially the one who told us in the NICU that he would have a very poor quality of life. Thank goodness he was wrong! Our child is well on his way to catching up with his peers and I will never cease to be amazed at how hard he fights to do all that his friends (who are typical children) are doing. 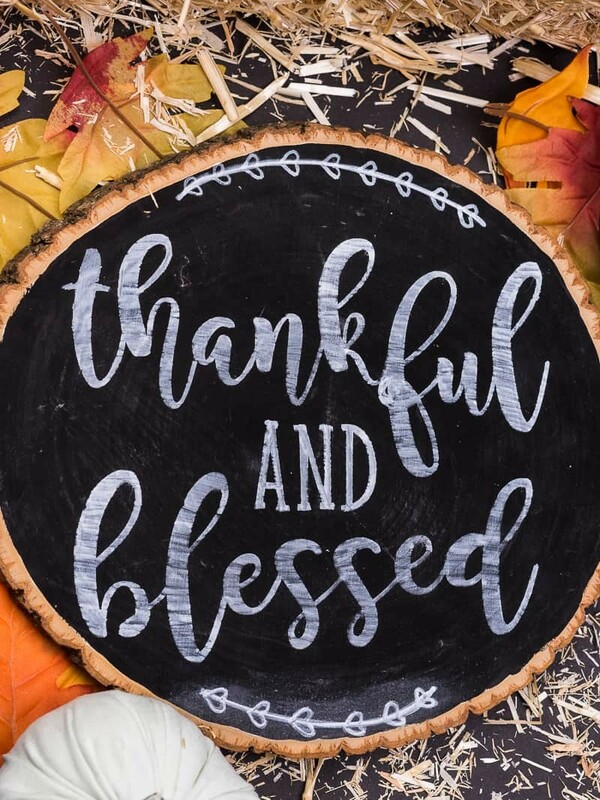 This Thankful Chalkboard sign is the perfect reminder for all of that. It really is so simple to make. And if you’re like me and don’t decorate for Thanksgiving, is a fun way to bring a bit of holiday decor into your home. 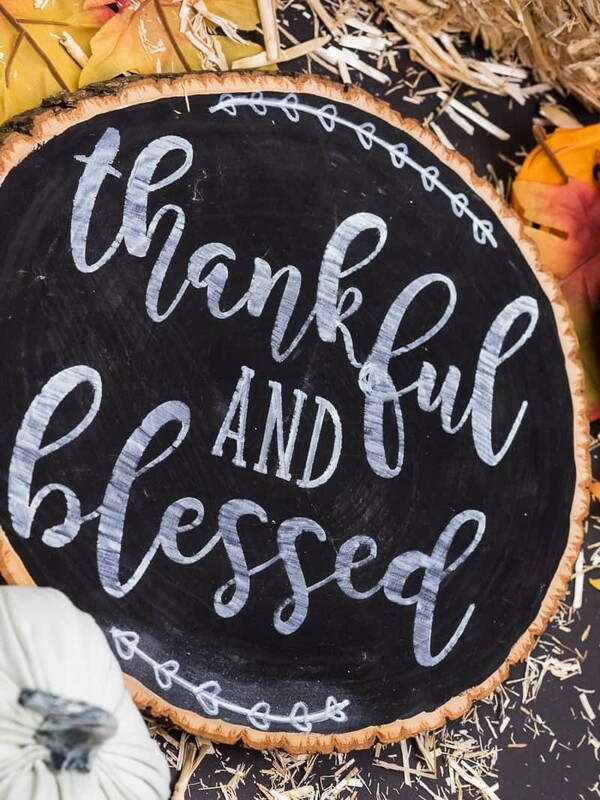 Let’s Make Your Own Thankful Chalkboard Sign! 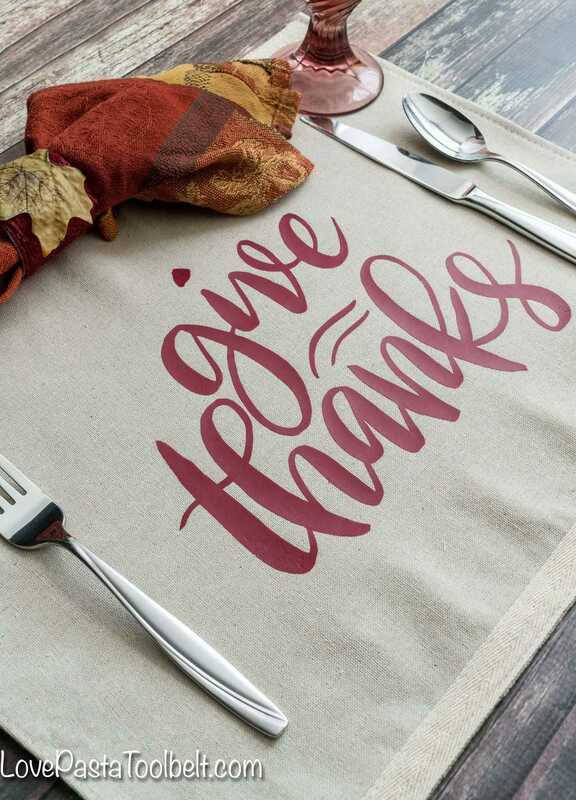 This Thankful sign is quick and easy to make with a stencil, paint, and a Silhouette Machine. 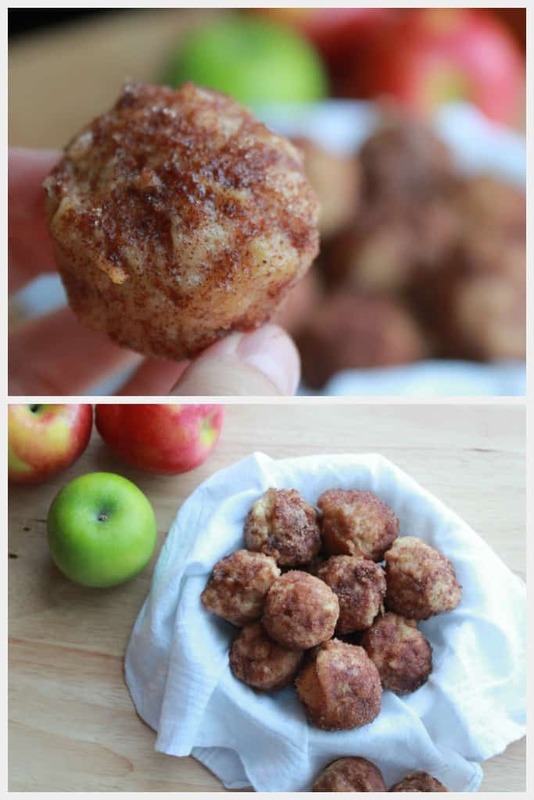 It's perfect for Thanksgiving! First paint your wood with chalk paint. I used a small brush around the edges and a larger foam brush for the greater surface area. Let the paint dry. Once the chalk paint is dry, take a piece of chalk and rub it all over the paint. This primes the chalkboard so that you can write on it. Cut out your design out onto your stencil paper. Once it's cut place a piece of transfer paper on top of it and lift up the design. Then place the transfer paper onto your chalkboard. Next, slowly lift up the transfer paper while making sure your design has adhered to the chalkboard. Then, using your chalkboard, fill in each letter until you're satisfied with the coverage. Once you're done, lift up the stencil and put it to the side. For the "laurel wreaths" on the top and bottom of my chalkboard, I drew them myself. I'm not the best at that (obviously, ha!) but I do like the touch homemade touch it gives the entire project! The "leaves" are just tiny hearts, super easy to do if you want to give it a go yourself! My favorite thing about this sign is that it is reversible! Last year I put a Merry and Bright design on the back and it’s now my favorite piece of holiday decor. I can keep it out from November 1st all the way through New Years and it’s relevant and pretty. Plus it means that I don’t have as many “things” to drag out for my holiday decor because it’s repurposed! Isn’t that seriously the best? Especially when you’re like me and love to collect holiday decorations. It’s a problem. Which is probably why I have a million holiday signs. If you love them as much as me you need to check these out! 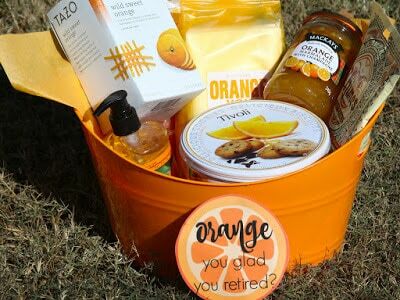 Want more holiday crafts? Check these out! And be sure to check out these other posts in #TheThankfulChallenge as well! Sometimes, in the heat of things, it is hard to be thankful. We went through the tough times with our son too. Just remember that God is mindful of your needs and will bring you through it. I said a lot of prayers in those early days. I love your chalkboard wood slice. We all need to remember to be thankful. Blessings to your family.